On July 31st we departed Boston for Copenhagen via Reykjavic on Icelandic Air. Good price, great onboard staff plus the option of an extended layover in Iceland at no additional charge will definitely bring us back to them. From Copenhagen to Almhult, Sweden we had two choices to get there; we could take the train that runs between Copenhagen and Stockholm or rent a car. 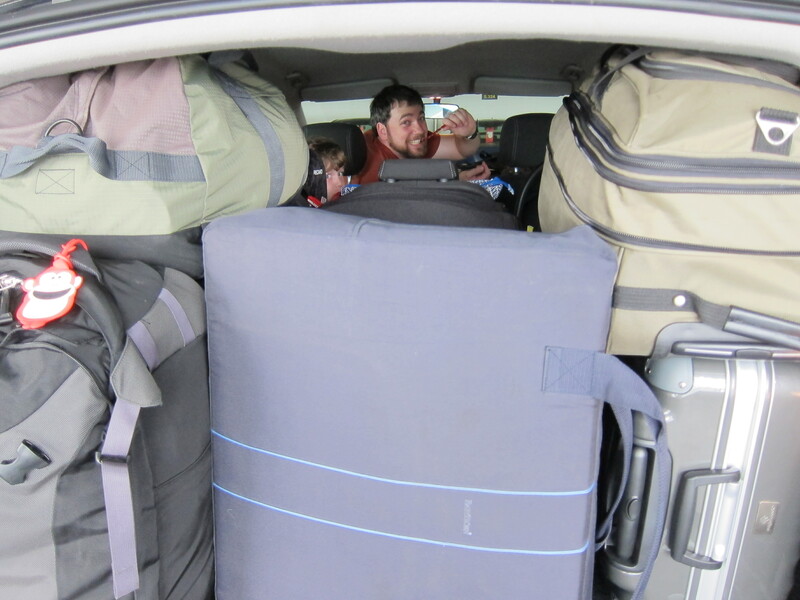 Traveling with two young boys and way too much luggage, we opted to rent a car. Quaint countryside church somewhere between Almhult and Copenhagen. Moving away from the coast near Helsingborg, we took the 120 east and soon found ourselves moving out of picture perfect farmland and into slightly more rugged forest terrain. 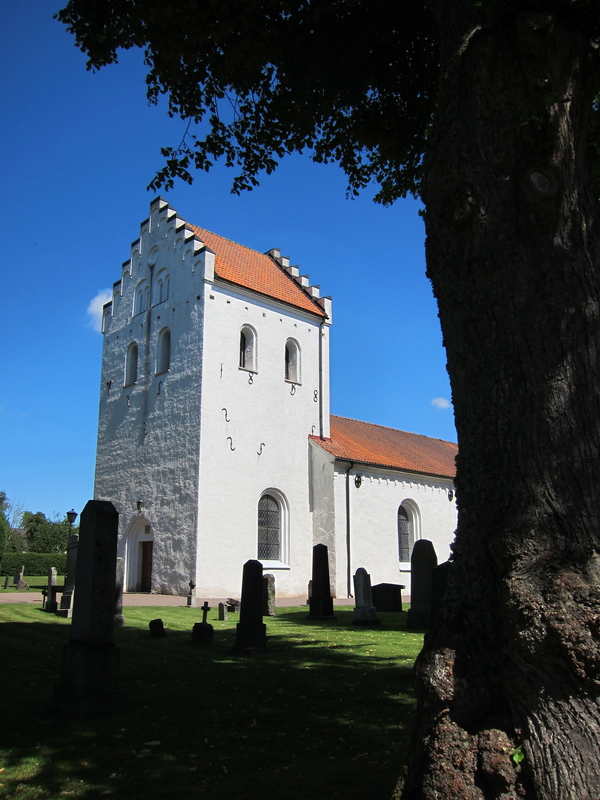 It seems that Almhlut, located in the greater Smaland region, is within a large swath of forest in southern Sweden. The forest around Almhult has a distinct fairytale feel to them. They do not feel much like the forests we are familiar with in the US, but really feel like they come out of a Hans-Christian Anderson or Brothers Grimm storybook. We passed through a number of small villages before entering Almhult proper. 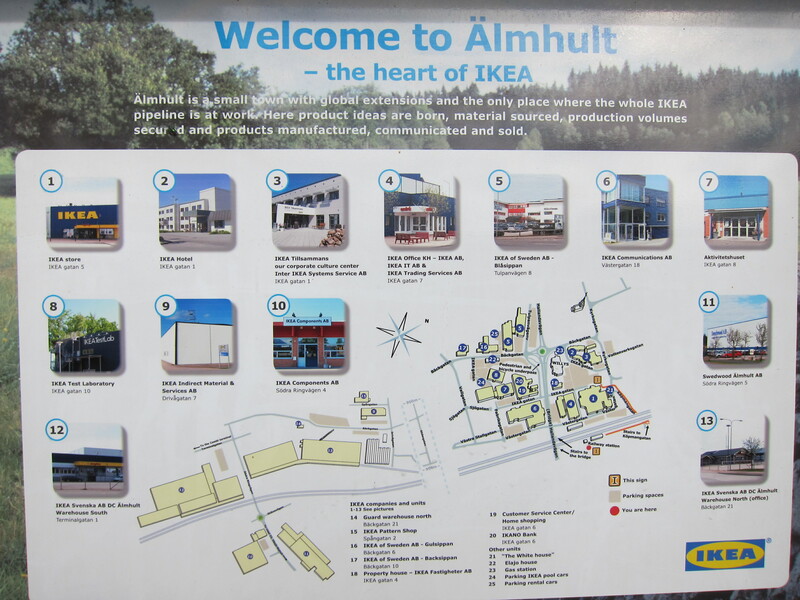 Almhult is the epicenter for IKEA and is serviced by a number of railways and a strong industrial core, though the town’s layout makes it very easy to miss the industrial side of the town. With a population of approximately 10000, the town is able to deliver a surprising small-town feel. Almhult Centrum, the downtown section, is very walkable and is surrounded by a number of neighborhoods that all roll out in different directions, each having their own unique feel. The town is in fact bifurcated by the rail system and on the east side you will find Centrum, Haganas, Elmiers, and Gemon. On the west side of the tracks there are Mossastan, Maskrosen, Kloxhult, Ormakulla, Norregard, Majtorp, and Paradiset. There are walking and bike paths connecting everything together and a few very nice forest parks present to hike through, as well as access to Lake Mockeln. It also appears that the Kommun, the administrative entity that runs the town, is very committed to play areas. We live in a Kommun run apartment in the Centrum area, just adjacent to the Haganas neighborhood and it seems that on every other block there is a play structure and sandpit. Thus far, we have only done a limited amount of exploration of the west side neighborhoods; but it seems to be much less apartment and Kommun run housing versus private homes and subdivisions with a strong suburbia feel. Arriving to an apartment/house is a very stressful event. S and I are pretty familiar to the routines of transitioning to new countries and communities, and luckily we are experienced in this and had a bit of savings for this relocation. In most of the transitions we have gone through the organizations bringing us to that country/town were able to meet us at the airport and show us around town. Most often, a decent temporary housing with be provided if a long-term home is not immediately available, which comes fully furnished and ready to live in. Arriving in Almhult, this was not the case. After 45 minutes trying to figure out how to get the keys, of which my wife and two children slept in the car in the nearby parking lot of a grocery store, we had the keys and made it into our new home. When we opened the door, we were greeted by nothing. Absolutely nothing. The apartment was completely empty, even of light fixtures. There was a light for the bathroom and kitchen and that was all. I have since learned that this is the norm for Sweden, but came as an unexpected reality for us. Here we were, a very tired jet-lagged family in a new apartment with absolutely nothing in terms of furniture, lighting, or food and with not a soul to assist us on how to get setup. Not to worry though, we were in the town of IKEA. Less than four hours in Almhult we found ourselves perusing the aisles and display rooms of the very first IKEA store. By the end of that day, we had purchased a bed for K and S and I, and a brand new couch; as well as having filled ourselves up on Swedish meatballs, mashed potatoes and lingonberries from the IKEA cafeteria. For the next few nights we all slept on the floor on top of some mattress padding we purchased as we waited for our real bed and couch to be delivered. The delivery took a little extra time as we needed to travel to Vaxjo to get apply for our residency cards and we had to drive back to Copenhagen to return our rental. If any of you have relocation stories that you would like to share, please feel free. If you are interested in hearing something more specific about arriving to Sweden, please ask and I will try to accommodate.